Words and Pictures. The previews looked delightful. 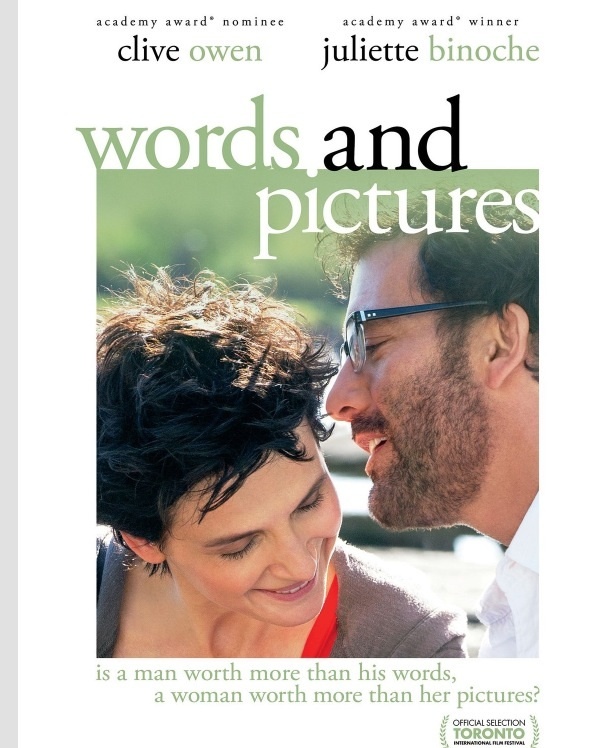 Clive Owen and Juliette Binoche as professors at a small prep-school in idyllic Maine. And addressing a most thought-provoking question: what is more vital… the written word or an artistic masterpiece? But somehow, this movie just fell a bit flat for me. The relationships introduced weren’t developed (father/son; ex-lovers; sisters); the storyline itself a bit scattered and the vital question not really addressed till the last five minutes of the film. However, the question is still a powerful one to consider. What do you all think? While a picture is certainly worth a thousand words there are moments when I see a masterpiece that leaves me speechless. I just can’t decide.